Blog Of mice and men - Vive la différence! Of mice and men – Vive la différence! This week, a very influential man passed. He was Dr. Denham Harman, the originator of the free-radical theory of aging. I am always learning and am grateful to know Dr. Bill Andrews, one of the stars of the documentary, The Immortalists, which I saw premiered at UCLA’s Film School last week. Bill and I both agree that telomerase holds the key to reversing human aging. Mice, unlike dogs and humans, do not age by telomere erosion, but instead are susceptible to oxidative stress as per this gentleman’s theory. Bill informed a group of us at the premier that humans have vast reservoirs of scalable antioxidative capacity so the effects of oxidation are not as integral to our aging. Just like cold doesn’t bother polar bears. In contrast, certain species for which telomerase is always on in all cells appear to have no discernible aging. The other subject of the movie, Aubrey DeGrey, has declared that telomerase is the problem and states in the movie that he would like to shut it down in all cells to prevent cancer. He feels that mice hold the key to human aging and they award a prize to prove their theory to anyone that can make mice live longer. The only thing that makes sense for human aging to me is telomere erosion in our stem cells. Since Bill Andrews and I have been taking TA-65 for seven years and are looking younger every time we get together, we will just have to see if Aubrey will outlive his mitochondrial theory of aging and his diabolical plans to deactivate telomerase to micromanage cellular physiology. Ironically, I first met both gentlemen in 2008 at Aubrey’s SENS conference held at UCLA. Time will tell but I’ll bet in another seven years, Aubrey will be taking what we’re taking…just in case. Either I’m the simpleton or we are way to fixated on mice and treating every paper like it has equal validity. We just watch as Rome burns and we continue to funnel billions of dollars into the medical-industrial-research complex to tell us things like people who stress out age faster and that any number of things might be helpful in some species and instances but more research is needed. I’m so daft I can figure out why if oxidation is the root cause of aging we need to breath and use the horrible oxidizer, oxygen at all. Perhaps engineers are working to deprive all our cells of oxygen, calories and telomerase in their quest for celllular immortality. I deem the free-radical damage theory of aging in humans to be a case of group think and over/underthinking that has set the quest for healthy longevity back decades. It’s greatest legacy has been billions in dubious supplement sales and taking care of mortgages and living expenses of misguided scientists along the way. As I explain in my book, “TELOMERE TIMEBOMBS“, the free radicals pour out of aged cells because that is the final common pathway for cellular suicide via mitochondrial disruption that is triggered by DNA damage, allowed for by telomere erosion. It is a case of confusing the smoke with the arsonist. 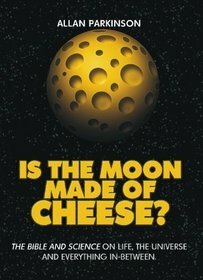 It is as though the only acceptable theory of moon craters was the fact that it was composed of cheese. Anyone who studied a non-cheesy model of the moon was misguided. Welcome to the exact opposite of intellectual honesty and science. Welcome to your Holy and Catholic Apostolic Church of Science. I have spent most of the day, online , with Ed McCabe, Mr. Oxygen and Dr, Garry Gordon and their thoughts on oxygen/ozone therapy. Do you have any information to pass on as to the relation of oxygen/ozone therapy and it’s effects on teleomere length?